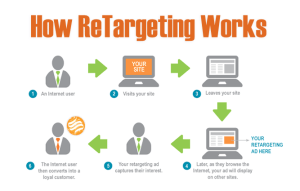 Retargeting is an extremely valuable tool in the digital marketer’s toolbox. It can impact the bottom line of any business if done correctly. Using thi s strategy is also a great way to increase brand awareness and make the most of your marketing budget. You’ve spent the time and budget to get visitors to your site, but eventually everyone is going to leave. If they bought, great! But typically, only 2% of shoppers buy on their first visit to an online store. They might be doing research or price comparison, and you don’t want to get lost in the crowd. Not to mention that repeat business is often the lifeblood of many companies. If you have thought about doing a retargeting campaign or are just trying to improve what you already have running, here are 5 Best Practices to follow. “Annoying,” “Pestering,” “Relentless” are just a few words that we’ve heard to describe different retargeting campaigns. No one wants to see the same company every day, everywhere they go. Users will begin to ‘tune’ out the ads, a phenomenon known as banner blindness. Even worse than banner blindness, users may start to associate negative feelings with your brand, something that is extremely difficult to overcome. Cap the Frequency, or limit the number of times a user sees your ads, to between 12-15 times a month. These numbers are a good starting point, but test and see what works best for your business and customers. Not every user will be at the same point in their buying cycle. If someone is close to a purchase, a decrease may work effectively. If they are new to your brand, an increase my help solidify your place. Just like you do in analytics, segment your audience. Segmentation allows you to provide tailored ad messaging to users from different ‘segments’ or sections of your site. Say you sell pet supplies; if a user comes to the section of your site that sells fish supplies you don’t want to retarget them using dog food ads! Meet them where they are. A general rule of thumb is this: homepage and high-level page visits are great for targeting general brand awareness. Anything deeper on the site should be specific to whatever topics they visited. Doing this reinforces to the user that you understand their needs and provide an effective solution or product. As with anything, people get tired of seeing the same things over and over again. We just being to tune things out once they become familiar. We can even become ‘turned off’ of a brand because the ad creative is repetitive, which is the same reason we monitor frequency. Studies show that using the same set of ads for months on end will result in a lower performing campaign, even if you hit it out of the park on the first try. According to a ReTargeter study, click through rates decrease by almost 50% after five months of running the same set of ads. Developing new creative, testing and rotating every few months can help you easily avoid experiencing these dips in performance. Changing images, colors, calls-to-actions and messaging are all things that can help keep your campaign running strong. Since you are going to be rotating your ad creatives, it would be the perfect time to test! Testing different elements is as simple as swapping out an image or changing a call-to-action. You don’t truly understand how your ads will perform until you try them. On an in-house example, we replaced the word “free” on a set of our creatives. We then targeted the same segment that had seen ads with the word free in them and saw different results. Simply by removing one word we saw a 22% increase in click-throughs. Test images, messaging, colors, layout, CTA’s, image sizes, and word count. All of these are things that can improve the performance of your ads. Remember different segments may react differently and the same ad may not be as effective across your segments. Make that subliminal connection between your brand and your audience. When your audience encounters a need or a problem, you want them to remember your brand and the solutions you have to offer. Retargeting guarantees that your ads will stay in front of your audience, but will they remember who you are when they need you the most? Making sure your logo is clear and highlighted on your creatives will help ensure your ads don’t go unnoticed. They’ve been to your site before, which is why they see your ads. A clearly branded ad helps keep your business at the top of their minds. There is a lot more that can and should go into your retargeting campaigns, but following these simple guidelines will help you get off to the right start in building an effective retargeting strategy. 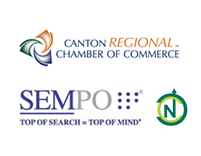 For additional insights and tips feel free to call 330-266-1188 or contact us here. Share your additional tips or experiences with us! Comment below or use my contact info to message me directly. I would love to hear what things have worked or not worked for you.